5 Volumes, 18 Issues, 88 Articles available from 2014 to 2019. An Indian journal of social sciences with an international outlook! 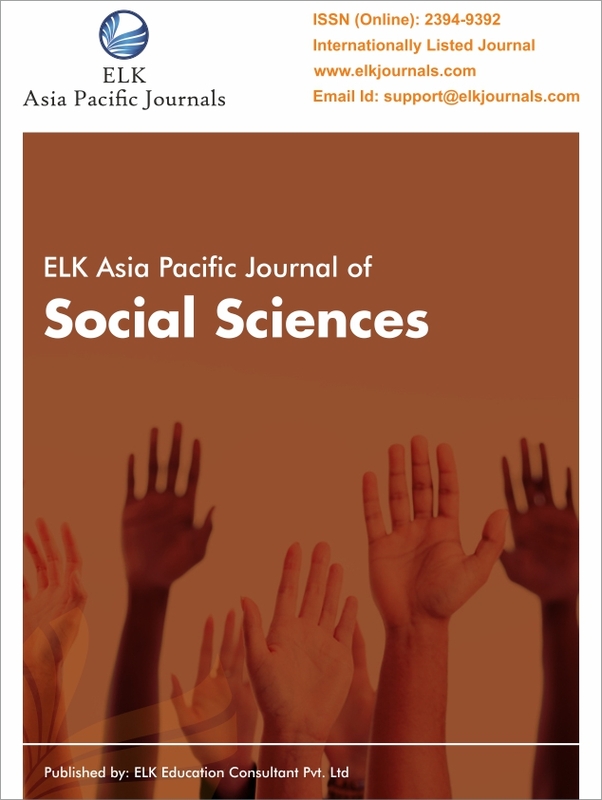 We, at ELK Asia Pacific Journals, brought to light this Open Access international journal with the purpose to disseminate quality research articles, technical briefs, review reports that contribute to the existing knowledge in the specified domain. Articles are assessed through a double-blind peer review process, basis which they are solicited in this quarterly indian journal of social sciences. Research must be directed towards theoretical and/or speculative modelling, inclusive of practical application techniques of statistics and mathematics. Theis social sciences journal behaves as a unique forum that presents theoretical debates, empirical analyses, comparative reports and case studies, which diverge from the narrow disciplinary stream, and pierce through the innovative advancing focus, is something we endeavour to achieve. We offer this meeting space, through our international journal of social sciences for you to join and broaden the information base of national and international scholars and authority holders so as to come up with substantial steps that can craft a better facet of the social science field. Holding no boundaries, we accept and encourage research articles by authors based in any country of the globe, but in the internationally accepted English language.